One day after the U.S. Department of Justice released its report on the situation in Ferguson, Missouri, one city worker has been fired and three others suspended, while the family of slain teenager Michael Brown has said it will file a civil suit against the officer who shot and killed their son. "We must do better not only as a city but as a state and a country," Ferguson Mayor James Knowles told the press Wednesday night. "We must all work to address issues of racial disparity in all aspects of our society." The mayor's remarks came in the wake of a damning report by the DOJ, led by an investigation by Attorney General Eric Holder. Knowles also revealed that one city worker had been fired after it was discovered that he sent racist emails; another three were suspended for their participation. A source told CNN that their jobs "will not survive the investigation." The DOJ got involved after the Ferguson protests called for change in the city and Holder promised to conduct a thorough investigation. 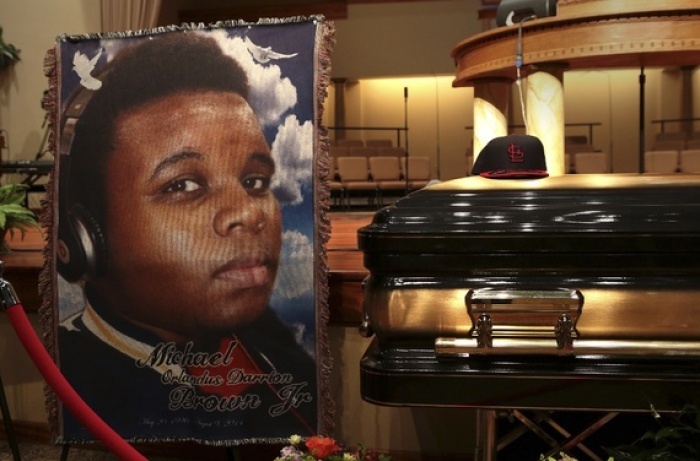 The death of 17-year-old Michael Brown set off a powder-keg of reactions in Ferguson and across the nation. Brown's family said that they will file a civil suit against police officer Darren Wilson, the man who shot and killed Brown. Wilson was found not guilty of homicide, angering members of the public and leading Michael Brown Sr. and Lesley McSpadden to file a civil wrongful death lawsuit against him. "They have accepted (Wilson's) self-defense" attorney Daryl Parks told CNN in reference to the family's disagreement with the DOJ's decision not to charge Wilson. "We do not accept his self-defense." "We are encouraged that the DOJ will hold the Ferguson Police Department accountable for the pattern of racial bias and profiling they found in their handling of interactions with people of color. It is our hope that through this action, true change will come not only in Ferguson, but around the country," the family said in a statement released to the public. "If that change happens, our son's death will not have been in vain."